It was another regular day at Destiny Islands. Sora and his friends Riku and Kairi were all doing a race to see who will get to drive the gummi ship to Twilight Town. They all decided to meet Roxas, Axel and Xion there that day. As they were running, all their phones rang at once. "Hey! I got a message from Axel!" Sora stops and calls out. Riku and Kairi stop running and walk towards Sora. "Huh, me too." Riku looks at his phone. Come to the castle. I have one heck of a fun game for us to play! "What is he planning to do?" Kairi asked, looking at the same message on her phone. "If I didn't know any better," Riku crosses his arms. "It sounds like when he invited us to the clock tower. Right when the bells started ringing." He shakes his head. "Wait there's another message, from Roxas!" Sora says. Ignore Axel's message. He just wants you to help him prank people. Are you in? "What do you guys think?" Sora crosses his arms behind his head. His smile pretty much said he was excited of the idea. Kairi thought for a moment then replied, "I don't know. With Axel, and the other members, who knows what will happen in the castle?" In the Castle That Never Was you'll be pranking whoever you want to prank. Forming a team? Or pranking others yourself? Be careful not to get caught! Ocs are welcome, but we also need people to be the KH characters too! So who wants to join? 3. Don't swear too much. 4. No arguing or different topics completly unrelated to this thread. 5. Be nice. Be friendly. Respect and treat everyone how you want to be treated. And just have fun! Everyone is welcome. Appearance: A list or pictures are good. Reason: Why your character is here? Here are the list of characters! Ocs are also in this RP. And if there's a name next to the character, you have to choose another one. If you like, you may also write a bio of your OC character! I'd love to get to know what they are like. Uhh, I might post a Oc template. This certainly is different.... but I'm willing to give it a try. I'll make a template for Kairi for formality's sake. how many charters can we do, cause im hoping to do one kh charter and an oc. But only one KH character, so everyone gets to choose one. How much? Hmm... I think four characters at most if anyone can! One KH character and 3 OCs! Or just 4 OCs. thanks!what do we have to put for the template?i call zexion as my kh charter! Personality: What your character is like. Bio: What your character usually does? Kairi has dark auburn hair, a pale complexion, and bright blue eyes. Between herself, Riku, and Sora, she is the shortest. She wears a pink strapless mini-dress with three large zippers(although two of them are only for decoration) with a white halter top underneath her mini-dress and a black hood. She also sports three bracelets on her left wrist, a black belt with a note book shaped bag attachment, and lilac sneakers. Personality: Kairi is loyal, sociable, caring, and kindhearted, but not afraid to speak her mind.She has feirce determination and courage when someone she cares about is in danger, and is willing to risk her safety for a friend in need. Previously, she was more brash and bold, ad very energetic, but during Sora and Riku's journey, she became a little more withdrawn and a little wiser. Kairi is also very charismatic and quick to make friends, and can be a bit of a tomboy. She's usually always very cheerful and upbeat and seems to be bit of a tomboy as well. However, she can also be headstrong rather stubborn sometimes, and may rush in without thinking things out sometimes. She enjoys teasing Sora and making jokes. Bio: Kairi was born in Radiant Gardens, where she lived peacefully and happily with her grandmother and enjoyed picking flowers. Here, she briefly met a blue haired keyblade master who saved her and cast a charm on her to lead her to light of another, in case she ever got lost. One day, during a meteor shower, Kairi woke up on Destiny Islands. She didn't remember how she'd ended up there, because she couldn't remember much before it. The mayor adopted her and she became friends with many of the kids on the islands, espeicailly two little boys- Riku and Sora. One day, when Kairi was 14, she and her friends were planning a raft trip to see the worlds out there. Although Riku and Sora were really excited, Kairi was nervous to go at first, partially because she was beginning to feel a little suspicious of Riku. She felt bad for feeling that way, but she couldn't shake the eerie feeling she was getting, that something about him had... changed. She tried to bring it up to Sora to see if he was getting the same vibes, but when it was clear that he wasn't, she tried to convince herself that it was her imagination and simply change the subject. She was curious about what they would find out there anyway. The night they were about to leave, a storm was ravaging the islands. Kairi went down to check on the islands and the door, but there was little she could do to stop it since it was clearly about to burst open. She wasn't sure how long it was from when she arrived to when Sora arrived, but the last thing she remembered was falling into Sora's arms after something pushed her forward. From then on, her heart resided in Sora's body while her body lie in a state similar to catatonia. She wasn't able to return to it until later, and when she did, she was helpless to stop her friend from dissolving into light before her. Ansem was probably about to kill her, Donald, and Goofy now that they had outlived their usefullness, but Riku was able to hold him off long enough for them to escape. Kairi was able to recognize Sora's Heartless and return him to his true form so they could escape together, but beyond that Sora would not let Kairi come along to help get Riku back. Thus, a long period of waiting began. For a long time, she seemed to forget part of what it was that she was waiting for. When she remembered, though, she realized how long it had been and how bad it might be that they still hadn't returned. She wrote them a letter and sent it by sea, but she still felt that she wasn't doing enough to help her friends. A strange man- Axel- tried to kidnap her, and after attempts to run, she ended being kidnapped and locked away by a different man- Saix. Namine rescued her from the cell, but as they were running, they ran into Saix again. This time, Kairi refused to back down and was seriously considering fighting without a weapon, but luckily Riku came and saved them. Shortly after, she ran into Sora, and fighting off heartless with a Keyblade Riku had given her, she was able to reunite the trio. Kairi wasn't able to do a lot more to help after that, since she was still new with her keyblade, and she even ended up back on the island while the others were still trapped in The World That Never Was. Luckily, they somehow found a light to guide them home, and Kairi was there to greet them when they did. I'm gonna claim Marluxia while I can xD so whenever this starts up, I'll definitely join in on the fun. Here's the template! Appearance: Has pink hair and blue eyes. Wears an organization thirteen cloak. Has a black v neck shirt beneath it and pants. Sometimes petals can be seen whenever he runs his hands through his hair. Personality: Marluxia can be rational when he wishes to be. He can be obsessive and sadistic when it comes to either Namine, Vexen and Sora. And he likes putting people in there place with threats. Bio: Marluixa usually spends a lot of his time in his room or wandering the Organization thirteen's stronghold. He'll bother Vexen occasionally when he's bored or thwart him to feel empowered. Maybe black mail the pyro for burning his precious flowers and spending his time with Larxene. He can be a double crossing jerk at times but he knows how to have a good time too. Reason: To have fun and mess with everyone. What else can a nobody like himself possible do? (rhetorical question btw). Anything to fulfill his desire in seeing people suffer from pranks and over throwing the Superior. Sorry if it's an OC. May I? Appearance: She has wide, green eyes, long, fine, straight purple hair worn in an unkempt style, tan skin, an hourglass figure, and purple fur with white stripes on her ears and tail, the latter of which is brush-like and carried with a curve. 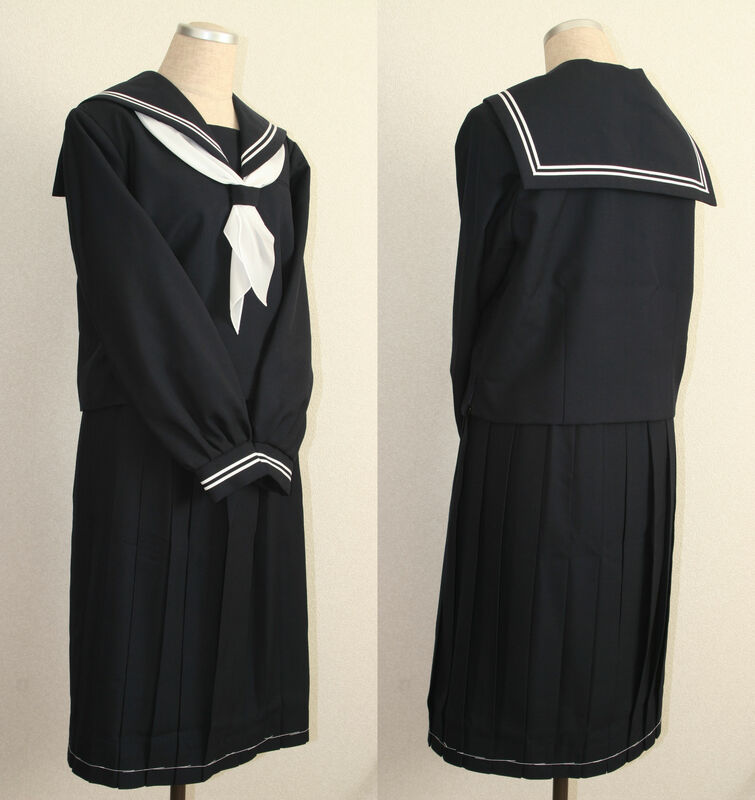 She wears a simple black sailor suit schoolgirl uniform, violet biker gloves, knee-high socks, and purple sturdy sneakers. Attached to her skirt is a medium-sized loop that is big enough for a hand to go through. This is where she accesses her pocket of hammerspace and it's in here where she stores items. It's not as organized as a "bag of holding" and as such she also keeps a couple of (normal) bags, pouches, and purses for sorting out all kinds of items. Personality: Siaowe takes her mission seriously and will let nothing distract her. She's also a fairly sociable and reasonable individual, and has a natural charm. but she hates being cuddled, water outside of baths and drinking, and canines. Bio: Prior to her 'recruitment' to the Story Crew, Siaowe was a Mithra Black Mage hailing from the world Vana'diel. A man named Panfacag took an interest in her while he was under the guise of a Hume Red Mage. Together, along with a few others, they underwent various missions. Some time during their time together, she began to notice that Panfacag has been acting strangely. As it turns out, he was about to leave, his mission done. She found him using a teleportation artifact of some kind. Curiosity got the better of her as she approached him. Unfortunately, the artifact did its work, not only taking Panfacag, but Siaowe as well. Due to her reconditioning in the Story Crew, she has changed from her stereotypical "energetic mischief maker" attitude to a serious and sociable "techie" individual. Her body has also changed to her current appearance due to an unfortunate and embarrassing incident involving "radioactive exposure". Reason: While Panfacag was at the Keyblade Academy, Siaowe was sent to the castle by the Story Crew on a reconnaissance mission. I claim Axel! Save him for me! Appearance: Has spiky, red hair and green-ish eyes. Wears a black organization coat. Personality: Axel is generally friendly And upbeat. He can be mysterious sometimes and is very good at making sure no one notices his actions. Bio: when he had a heart, axel lived in Radiant Garden with his best friend Isa. He and Roxas were friends in the organization and had seal salt ice cream together. Reason: to have fun and get a laugh over it. A chance to mess with everyone in the organization. Not sure how this works but i choose ventus. Check the first post, read the rules, then make a profile. Like the ones above yours. And yes, Ventus is available. Can i make ven any age? If not i think i'll choose terra instead cause he's closer to my age.